The new analog single-turn absolute encoder for motor control application has been developed upon specific customer’s requirements. 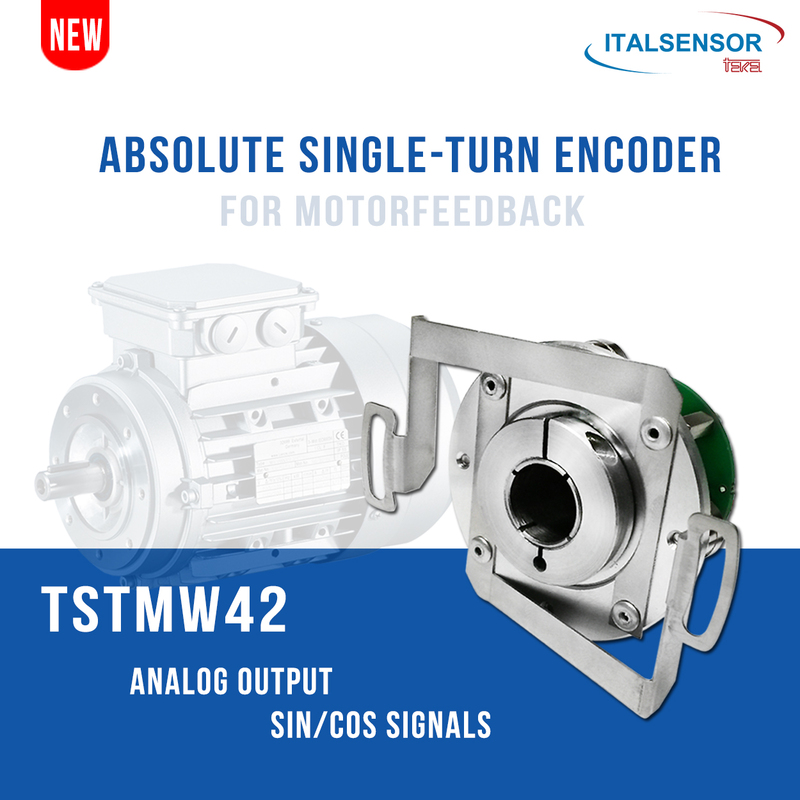 The encoder output is a pair of SIN-COS signals developed on a single mechanical turn (is also provided a continuous reference signal REF) and can be also supplied with incremental output interface (e.g. for applications requiring the commutation signals U, V, W for motor models starting between 1 up to 8 pole pairs). Our company offers customization adding new features and functionality to the new products relying on your feedback . By putting our forces together, we can develop personalized high efficient solutions that will fit your needs. For any information you may require, contact us by telephone or write an email to our service office.